Early 20's Sales manual showing centerdoor as sedan. 24-25 Sales manual showing tudor and fordor sedans. 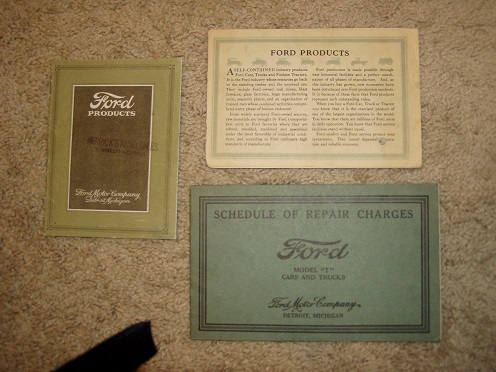 1926 Repair charges manual.